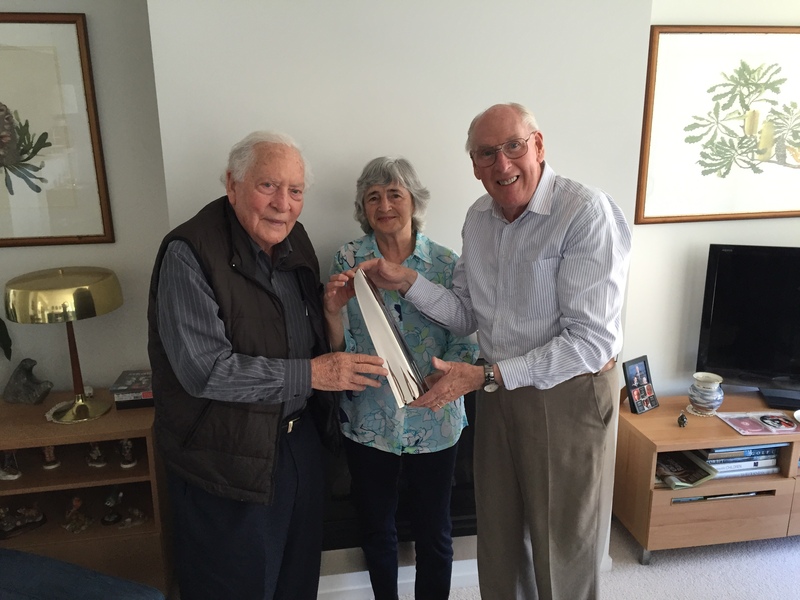 On Friday February 5 the Habitat Board made a presentation to Ross and Anna in recognition of their many years of service to the Trust, with Ross having been the principal organiser from the start, with Anna managing the office and handling most of the paperwork. Ross and Anna retired from their formal roles in late 2015 but remain actively connected to Habitat and have been appointed as patrons to the trust alongside Sir Ninian Stephen. 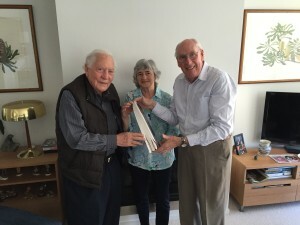 The image shows Habitat Chairman Professor Allan Rodger presenting a Georg Jensen vase to Ross and Anna as a small symbol of their dedication to sustainable good design and major strategic issues over many decades.